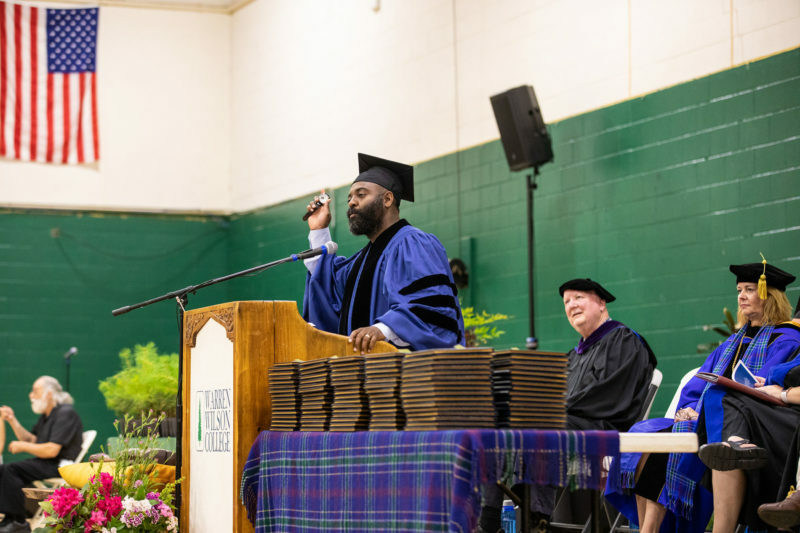 Reginald Dwayne Betts, MFA for Writers alumnus, delivers the keynote at Warren Wilson College's 2018 commencement. 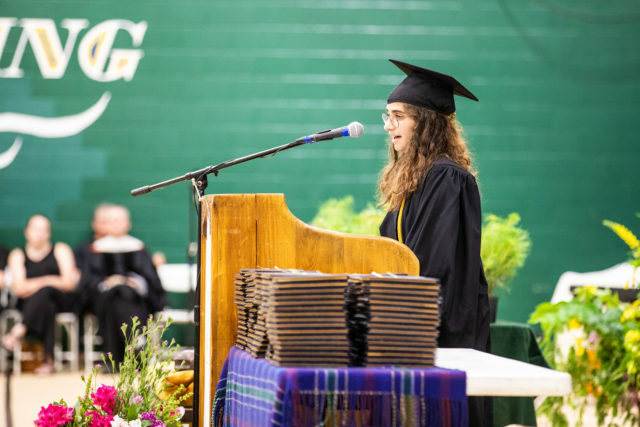 Keynote speaker Reginald Dwayne Betts acknowledged that each of the nearly 140 seniors gathered to receive their degrees were there in the context of their own “complications.” Betts’ current success as an acclaimed poet followed earlier struggles. Arrested for felony carjacking when he was 16 years old, Betts spent nine years in prison. 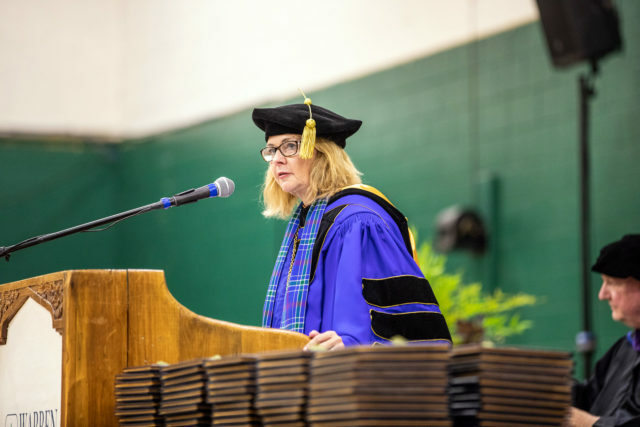 He went on, however, to receive his Master of Fine Arts in creative writing from Warren Wilson College and then earned a Yale law degree. A field of poppies in bloom on the College Farm. 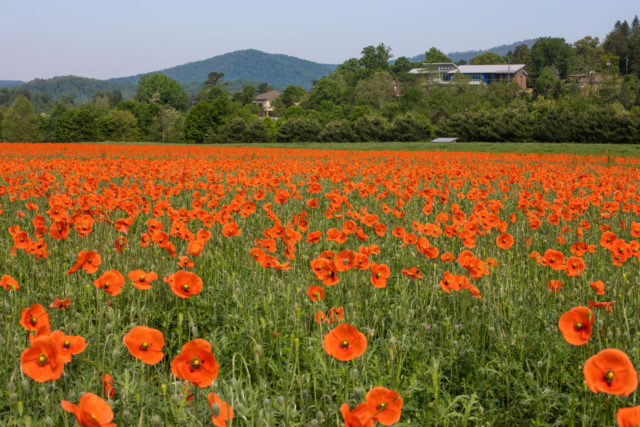 Klein described “unfathomably beautiful moments with people whom I love,” using the vibrantly red wild poppy bloom currently carpeting a field at the College Farm as an example – a rare and stunning phenomenon that happens only every several years, when conditions are exactly right to bring the poppies out of dormancy. 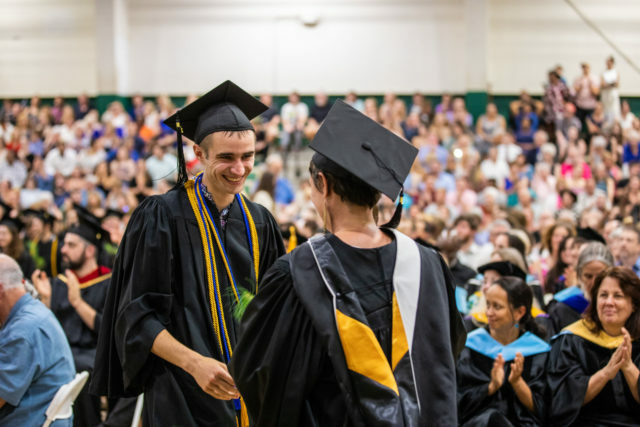 Biology and Biochemistry major Brian Stuart Wuertz won the Alton F. Pfaff Award, the College’s highest honor. 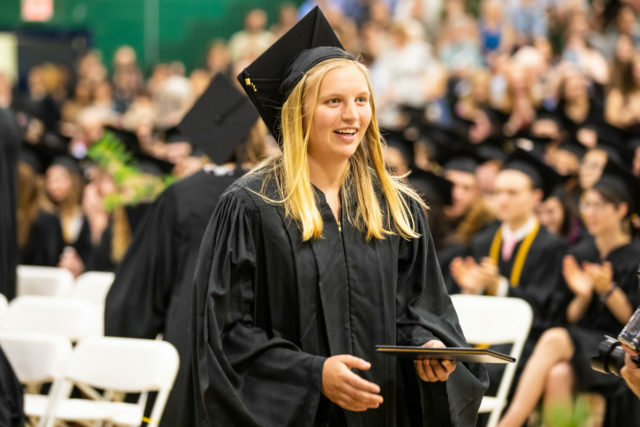 Anne Clare Courtway won the Algernon Sydney Sullivan Award, which is presented each year in recognition of a graduating senior’s personal character, integrity, and service to others and their communities.